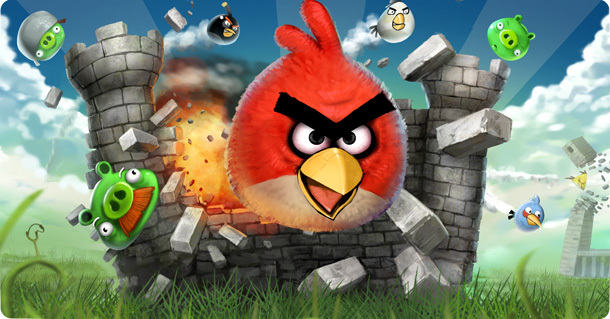 Angry Birds is one of the most popular and Top Grossing game in all supported Platforms nowadays. This game is available for iPhone OS, Android and Symbian. Basically Angry Birds is a game about Birds having some supernatural powers and Pigs with devilish intentions. Pigs stole eggs of Birds, Now Birds got angry and they are now attacking pigs with their powers. What you have to do is Shoot a bird on pigs and destroy their fort. Angry birds features lots of levels. This is my personal favorite and I recommend others to try it. All phones with Symbian s60v5 eg; 5230, 5233, 5235, 5530, 5800, X6, N97, N97 mini, N8, C7, C6 etc. If you liked this post then Please share it with your friends and don't forget to leave a comment below.